Our Honey Sampler Gift Crate is a wonderful gift for anyone that enjoys the taste of all-natural honey! Presented in this wooden, reusable crate are three one-pound jars of our sweet and delicious honey that are sure to please. 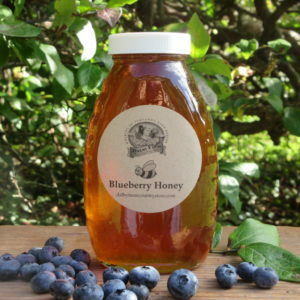 Clover Honey* is a popular variety that many are familiar with, its light and delicious flavor is a winner every time. The all-natural Raspberry Honey has a subtle taste of raspberries that makes it different than other honey. 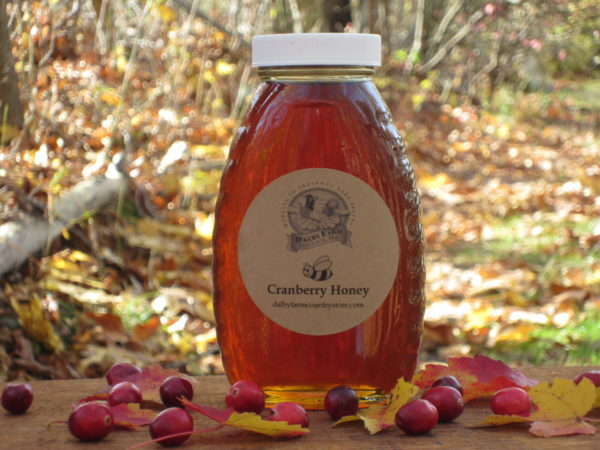 Cranberry Honey, of course, is native to the New England area, is a fall favorite and has a unique flavor of its own. This terrific trio of flavors makes this Honey Sampler Crate a healthy and unique gift idea for anyone of any age! 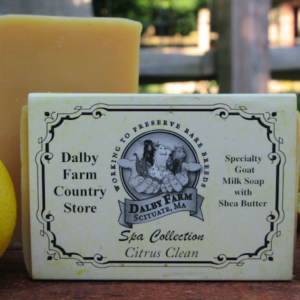 A wooden honey dipper is included in the crate. *Photo shows Wildflower Honey however, Clover Honey has been substituted and is now part of the collection. If you know someone that appreciates the taste of all-natural honey then our Honey Sampler Gift Crate is the perfect option! The variety of honey in this crate, offers the recipient a chance to try some unusual flavors that they might not otherwise have the opportunity to do! Our Honey Sampler Gift Crate contains a one pound jar of our Clover Honey, a one pound jar of our Cranberry Honey and a one pound jar of our Raspberry Honey. Also included in each crate is a wooden honey dipper and an informational card on the ‘Benefits of Honey’.